Praise the Roof | Music | Style Weekly - Richmond, VA local news, arts, and events. 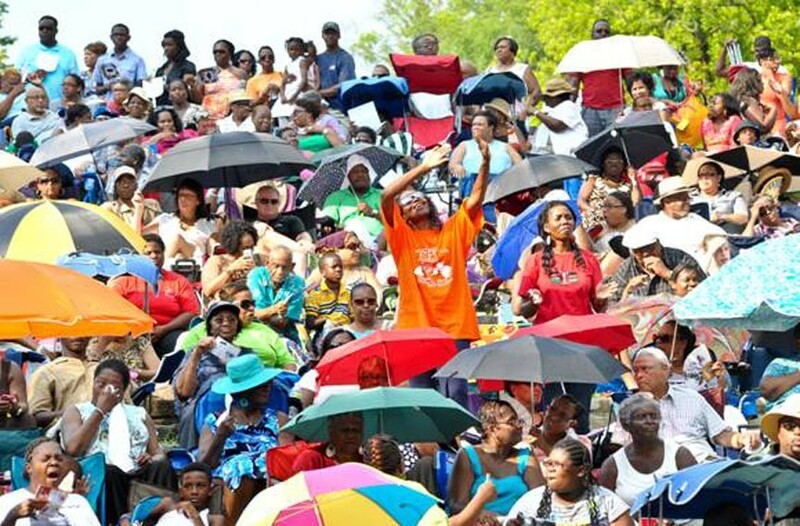 Bigger than ever, Richmond's Gospel Music Fest returns to Dogwood Dell. 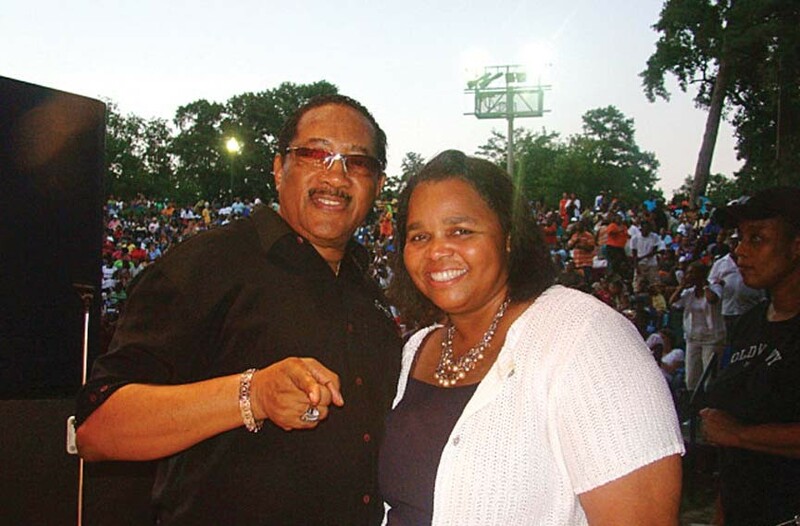 With Bobby Jones, radio personality Sheilah Belle is holding the third annual Gospel Music Fest with the Belle at Dogwood Dell. For a radio personality who frequently refers to herself in the third person, Richmonder Sheilah Belle is down to earth. Perhaps it's her faith that keeps her grounded and sane, despite producing two syndicated radio shows airing in 51 markets (the Belle Report and the Belle Report Entertainment News Update), counting many top gospel singers as friends and leading an army of volunteers she calls the "Belle Corps." But even the "Belle," as she calls herself, was astonished when a representative from the city's parks and recreation department offered her a blank slate to hold an event at Dogwood Dell three years ago. Of course the Belle wanted to do a gospel concert. That first show drew between 5,000 and 7,000 people, growing close to 15,000 at last year's Gospel Music Fest with the Belle. This year the performers are rolling deep as well, with 24 acts incorporating a roster of about 500 people, including Dottie Peoples, Bobby Jones, Troy Sneed, Monica Lisa Stevenson, Minister Earl Bynum and the Mount, Maggie Ingram and the Ingramettes and many others. The night also is a tribute to local gospel music legend and Dogwood Dell mainstay Larry Bland. Style: So why pay tribute to Larry Bland now? Belle: We're paying tribute to Larry Bland because he's still living, he's on this side of the dirt, and he's very deserving. He's done a lot. This is also the same year that he is celebrating 40 years of being recognized as the guy who started the gospel choir at [Virginia State University]. And he's done so much. I don't think this type of thing has been done at Dogwood Dell before, at least pertaining to the gospel community, and my thinking was, "Why not? Let's give love to someone who's done so much." We all know Fridays at Sunset isn't happening this summer. It's been suggested that part of the reason is that the city decided not to fund that event. Were you concerned that the same thing could happen to your event — that the city might pull out of the concert business? That is not a big concern because, the small budget that I was given, if they were to pull out, I'd do it myself. Or someone could do it, because it's not much budget at all. That budget that they have given me covers your sound, your lights and the minimum basics. Again, the people that are coming, they're coming because of their relationship with the Belle. And I hope that doesn't sound crazy. Why do you think so many people come out to this event? I think a lot people come out because they like to feel good. And I think the music and the artists, that God has orchestrated to be at this event, gives them the feeling of "I feel good, I feel great, I feel inspired, I feel music that has been embraced by God, and I trust the artist to give me what I need to feel better." It's not necessarily a show, it's more of a time to minister your music, do your ministry on stage. But still we can let people know, we can still have fun and we can praise God and we can do it under the stars at night, and we can do it in such a way that everyone will feel good when they come and everyone will feel good when they leave. So what else is new with the Gospel Fest? We are looking at a reality show possibly being blossomed or birthed out of this weekend, because there is a movie company that will be coming here from Chicago, who will be taping a lot of behind the scenes and on the stage with myself. So will you be staging some backstage drama with some hair pulling and name calling to enhance its marketability? The third annual Gospel Music Fest with the Belle returns Sunday, July 15, at 5 p.m. at Dogwood Dell. Admission is free. For information visit thebellereport.net.